Poster, 18" x 24", English, 2004. 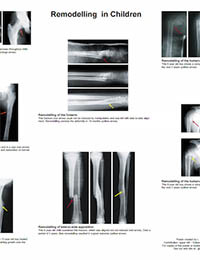 An easy-to-read summary poster of remodelling of fractures in children. Chinese translation by Lin Feng. Spanish translation by Julio Nuñez Tapia.